Universal Pictures Home Entertainment has just announced a 4K Ultra HD version of the 2012 movie Battleship, scheduling the release for January. 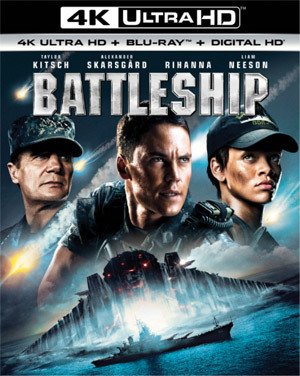 The battle for Earth begins at sea in the epic action-adventure, “Battleship, ” starring Taylor Kitsch, Rihanna, Alexander Skarsgård, Brooklyn Decker and Liam Neeson. An international naval coalition becomes the world’s last hope for survival as they engage a hostile alien force of unimaginable strength. Ripping across sea, sky, and land, Battleship is packed with spectacular visual effects and explosive action. 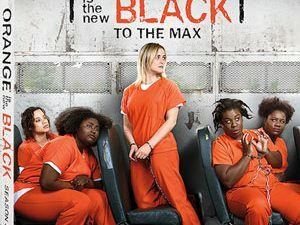 Aside from a 4K ultra high definition feature presentation with a DTS:X Master Audio track, the release will also carry all the bonus features from the previously released Blu-Ray version, including an All Access Feature with Director Peter Berg, an Alternate Ending Previsualization and a series of Featurettes on the making of the film, the cast, the visual effects and other aspects. “Battleship” will join the 4K UHD force on January 17 for $39.98 as a combo release that also includes the Blu-Ray version and a Digital HD copy.